The nine months of pregnancy are romanticized as the happiest and most blissful period in a woman’s life. It marks the birth of another soul and the transformation of a woman into a mother: where she learns to put her baby before herself, always. These nine months are spent planning every detail of the baby. Knowing that as a parent, you have the power to create and shape another human can be scary and beautiful in equal parts. Due to the high stakes involved in this nine-month period, pre-existing anxiety disorders are prone to exacerbation (Rubinchik, 2005). There are psychological and physiological changes happening in the mother-to-be’s life such as increased heart rate, increased blood flow and increased activity in the kidneys may be some (Brown). According to DSM-V, anxiety is defined as the “anticipation of future threat” or “cautious or avoidant behaviors to avoid future danger” During a stressful period such as pregnancy, new mothers can develop protective instincts and worry about providing for their child, thus stress and caution running high. In addition, there are 100 to 1000-fold hormonal variations occurring, which may also exacerbate such emotional difficulties (Rubinchik, 2005). This brings us to a pertinent question: How do mothers deal with anxiety disorders during pregnancy, which is supposedly the epitome of womanhood? Everything the mother experiences, within herself and her surroundings, affects the fetus (Murphy, 2011) . Hence parents-to-be tend to be extremely careful of what they are exposed to, particularly medication. Everything the mother consumes is absorbed into her blood, and that blood goes into the fetus (Children’s Hospital of Philadelphia). Thus many clinicians admit that they prefer not to prescribe pregnant women medications during these prime nine months. Although there’s no definite information about the effect of anti-anxiety drugs on a fetus, women affected with anxiety do not have access to medication. There are very few studies on expecting women (What to Expect, 2015); Dr. Stephanie Ho, a reproductive psychiatrist, states that FDA’s warning on the SSRI paroxetine (Paxil) risk of increasing cardiovascular defects in a fetus was based on three unpublished studies. This insufficient amount of researched data has caused most women to discontinue their medication for the safety of their child, thus disrupting the blissful period that they are supposed to have during her pregnancy. Discontinuing medication or not having resources available during a pregnancy can be extremely emotionally taxing for the mother and those around her. Most of the mothers on this “Baby Center Community” wish that they could continue taking their medication: pregnancy without panic attacks can be exhausting in itself. Constraints like not being able to step out of your house along with additional mental difficulties may leave the mother with unpleasant memories, and perhaps even less willing to bear another child. 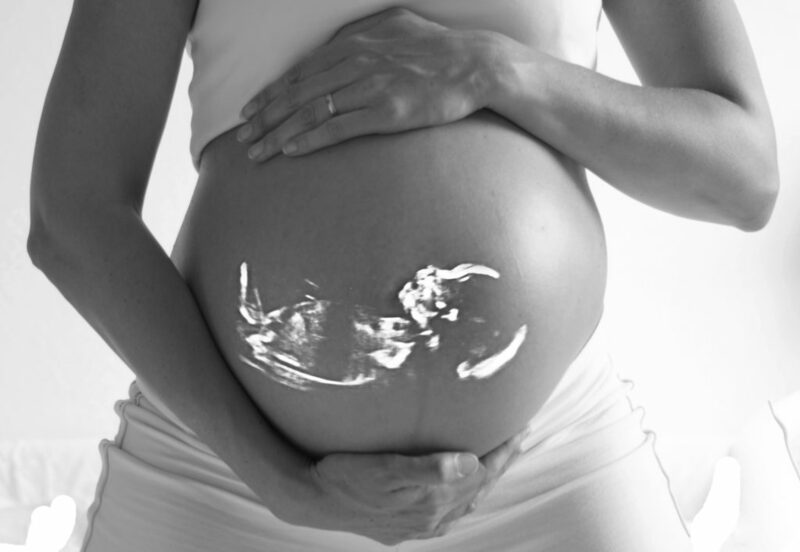 A mother’s physical health has always been given utmost importance during her pregnancy, such as yoga and nutrition. Adequate research has been done about the physical needs of mothers and the baby’s, however, not enough research has been done regarding medications that are safe to use while pregnant. On 13 September 2017, Dr. Yonkers at Yale University released the results of a study about the true implications of benzodiazepines and serotonin reuptake inhibitors, which are common medications for Generalized Anxiety Disorder and panic disorder, on pregnant women and their babies. The study recruited women at 137 obstetric practices in Connecticut and Massachusetts before 17 weeks of pregnancy, reassessed them at 28 (±4) weeks of pregnancy, and at 8 (±4) weeks postpartum. The diagnoses of anxiety disorders were determined by the World Mental Health Composite International Diagnostic Interview and other information such as treatment with medications, substance use, previous adverse birth outcomes, and demographic factors were also assessed (Yonkers, 2017). Dr. Yonkers’ study concluded that with maternal benzodiazepine treatment, 61 out of 1000 newborn babies required ventilatory support and the duration of gestation was shortened by only 3.6 days. On the other hand, mothers who used serotonin reuptake inhibitor to treat their anxiety disorder, gestation was shortened by 1.8 days and 152 of 1000 additional newborns required minor respiratory interventions. What this means is that although there was an increase in some adverse effects, the rates were very modest. It is up to the parents and doctors to decide if continuation of these medications is the best option for the pregnancy, but this study opened an avenue for pregnant women by empowering them with the knowledge of consequences and allowing them to make a more informed rather than cautionary decision. Every expecting parent’s primary concern is to give their child the very best. To do so, it is vital for them to ensure their own well-being, both mental and physical. Based on Dr. Yonkers’ study, expecting females who struggle with anxiety disorders can consider staying on or starting anxiety medication such as serotonin reuptake inhibitor and benzodiazepines, after consulting their physician, because if they are mentally healthy and eased, their baby gets a healthier mother. Hence, mothers: by putting yourself first you’re actually putting your babies first. Rubinchik, S. M., Kablinger, A. S., & Gardner, J. S. (2005). Medications for Panic Disorder and Generalized Anxiety Disorder During Pregnancy. Primary Care Companion to The Journal of Clinical Psychiatry, 7(3), 100–105.